As multijurisdictional practice continues to expand, lawyers in different states regularly work together on a litigation or transaction. For example, a New York lawyer handling a complex securities lawsuit may find it beneficial to bring on as co-counsel a D.C. lawyer who has a great deal of regulatory experience. Similarly, a New York lawyer advising a client about a business transaction with a company in the United Kingdom may want to partner with a London-based lawyer who can offer advice about any foreign implications of the transaction. These are not uncommon scenarios and the two lawyers will often reach an agreement about the best way to divide the legal fees. What happens, however, when the non-New York lawyer (in either scenario) works at a law firm that includes nonlawyer owners? Under the New York Rules of Professional Conduct (NY Rules), lawyers generally may not share fees with nonlawyers. See NY Rule 5.4(a) (prohibiting lawyer from sharing fees with a nonlawyer); see also NY Rule 7.2(a) (prohibiting a lawyer from compensating any person or organization for recommending or obtaining employment by a client). NY Rule 5.4 also prohibits nonlawyers from possessing an ownership interest in a law firm. The main purpose of the Rule is to “protect the lawyer’s professional independence of judgment.” Id. Cmt. . Every other U.S. jurisdiction, except the District of Columbia, has a similar version of this rule. In addition to the District of Columbia, a number of other countries—including the United Kingdom and Australia—allow lawyers to share fees with nonlawyers who own interests in law firms. A question being asked with increasing frequency, therefore, is whether a New York lawyer may share fees with a law firm from another jurisdiction that, in turn, lawfully distributes its profits among lawyers and nonlawyers? NYCBA Op 2015-8 reached a similar conclusion. Specifically, the Committee concluded that a New York lawyer “may ethically divide legal fees with a lawyer who practices in a law firm where nonlawyers hold a financial interest or managerial authority, provided that the [out-of-state] law firm is based in a jurisdiction that permits such arrangements with nonlawyers.” This Opinion also reasoned that such an arrangement would pose little risk of impairing the New York lawyer’s independent professional judgment. Before NYCBA Op. 2015-8, no New York ethics opinion had reached the same conclusion as ABA Op. 464. There had been, however, a great deal of discussion among several sections and committees of the NYSBA and NYCBA, all of whom ultimately voiced support for fee sharing with firms that have nonlawyer owners. To understand the basis for ABA Op. 464 and NYC Op. 2015-8, it is important to understand that discussion. Before the ABA Standing Committee on Ethics and Professional Responsibility (ABA Ethics Committee) took up the inquiry that led to ABA Op. 464, the ABA Ethics 20/20 Commission (ABA Commission) proposed revisions to Model Rules 1.5 and 5.4 to permit some degree of fee sharing with nonlawyers. The ABA Commission considered the pros and cons associated with “inter-firm” fee sharing with nonlawyers (fee sharing between different law firms, at least one of which has a nonlawyer owner) and “intra-firm” fee sharing with nonlawyers (fee sharing within a single law firm that has nonlawyer owners). With regard to inter-firm fee sharing, the Commission proposed a new comment to Model Rule 1.5 (Comment ), which specifically stated that a lawyer in a jurisdiction that prohibits fee sharing with nonlawyers may share fees with a lawyer who is part of a firm operating in a different jurisdiction where it is duly authorized to share fees with nonlawyers. See ABA Comm. 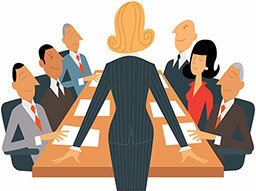 on Ethics 20/20: Draft for Comment, Fee Division Between Lawyers in Different Firms (Sept. 18, 2012). Though the ABA Commission ultimately abandoned both of these fee sharing proposals, it referred its proposal on inter-firm fee sharing to the ABA Ethics Committee. In response, the ABA Ethics Committee issued ABA Op. 464 the following year, essentially adopting the reasoning of proposed Comment . In 2011, the NYSBA Ethics Committee issued an opinion that appears to endorse the reasoning of Phila. Op. 2010-7. See NYSBA Formal Op. 889 (2011). There, the Committee concluded that an attorney who was admitted in both New York and D.C. (but practiced only in D.C.) could be part of a D.C. law firm that had nonlawyer owners and could share fees with a nonlawyer owner that assisted the D.C. firm in a lawsuit brought in New York. The Committee based its conclusion on the “choice of law” Rule, RPC 8.5. It reasoned that despite the fact that the lawsuit at issue was brought in New York, the “predominant effect” of the New York lawyer’s conduct occurred in D.C. See N.Y. Rule 8.5(b)(2)(ii). In order to evaluate the ABA Commission’s position on nonlawyer ownership, the New York State Bar Association created the Task Force on Nonlawyer Ownership (Task Force). The Task Force collected input from a number of sources on the pros and cons of nonlawyer ownership both with respect to inter-firm and intra-firm fee sharing. may divide a fee with a lawyer from another firm in a jurisdiction that permits that firm to share legal fees with nonlawyers or to have nonlawyer owners, unless the lawyer who is governed by the [New York] Rules of Professional Conduct … knows that the other firm’s relationship with nonlawyers violates the rules of the jurisdiction that apply to that relationship, or knows that a nonlawyer owner is directing or controlling the professional judgment of a lawyer working on the matter for which fees are being divided. Id. 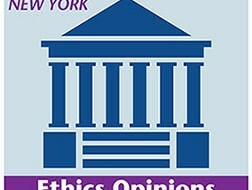 The Task Force recommended that Comment  be adopted, but that the matter should be referred to the NYSBA Committee on Standards of Attorney Conduct (COSAC)—the committee that is tasked with analyzing and recommending reforms to the New York Rules and other provisions that regulate lawyer conduct in New York—to determine whether the recommended change should be carried out through a comment or a change to the black letter text of the Rules. In the meantime, COSAC also voiced support for a version of the ABA’s proposed Comment  regarding inter-firm fee sharing. COSAC noted that the proposed Comment “properly emphasizes” that the lawyer sharing the fees must maintain his independent professional judgment and that it “will not present undue risks of nonlawyer influence on the practice of law by lawyers in such firms … [because the risk is] significantly reduce[d] since a nonlawyer owner would have to extend his or her influence to a separate firm.” Task Force Report at 923-24. COSAC is currently considering proposed changes to Rule 5.4, which would permit fee sharing with law firms that allow nonlawyer ownership, but has not yet issued a final report. The NYCBA Committee on Professional Responsibility also wrote to the Task Force supporting the ABA Commission’s proposals. Like the other proponents, the Professional Responsibility Committee based its support on the fact that there was little risk that nonlawyers would be able to improperly influence New York lawyers who share fees with other lawyers duly authorized to share fees with nonlawyers. The Committee also noted that the New York Rules already permit inter-firm fee sharing to some extent if the “predominant effect” of the New York lawyer’s conduct took place in a jurisdiction that permitted fee sharing with nonlawyers. See N.Y. Rule 8.5(b)(2)(ii); Task Force Report at 922-23. Similarly, the NYSBA International Section issued a report recommending that New York lawyers be allowed, at a minimum, to “affiliate, as employees or partners, with U.S. and non U.S. law firms that comply with the ownership rules of their home jurisdiction.” NYSBA Int’l Section Task Force on Non-Lawyer Ownership Interim Report (Feb. 24, 2012). Finally, the NYSBA’s Commercial and Federal Litigation Section endorsed the ABA’s proposed changes concerning inter-firm fee sharing. Report of the Ethics and Professionalism Comm. of the Commercial and Fed. Litig. Section of NYSBA on the ABA Proposal for Comment on Choice of Law–Alt. Law Practice Structures (July 26, 2012). The Section concluded that the ABA’s proposal “helps clients get multijurisdictional advice, … frees attorneys from the difficult task of policing the compensation policies and ownership structure of independent firms in foreign jurisdictions, and … does not interfere with the ability of New York lawyers to make judgments for the benefit of their clients free from the influence of non-lawyer members of the foreign firms.” Id. In light of these authorities, there appears to be strong support for the proposition that a New York lawyer may share fees with a law firm duly authorized to share fees with nonlawyers. It is significant that all of the New York committees and sections that voiced support to the Task Force for inter-firm fee sharing did so before ABA Op. 464 was issued, suggesting that several influential New York bodies independently reached the same conclusion as the ABA Ethics Committee. There are also strong policy considerations for New York to follow the reasoning of ABA Op. 464 and NYC Op. 2015-8, such as eliminating confusion about fee sharing among firms in different jurisdictions and conforming the interpretation of Rules 1.5 and 5.4 to the realities of existing law firm practices. As one commentator has argued, such an approach would “eliminate confusion, allowing attorneys to provide efficient and ethical services to their clients.” Melissa Pender, Multijurisdictional Practice and Alternative Legal Practice Structures: Learning from EU Liberalization to Implement Appropriate Legal Regulatory Reforms in the United States, 37 Fordham Intl. L.J. 1575, 1635 (2014) (citing ABA Op. 464). Naturally, there is a small risk that a court or disciplinary authority could reject the reasoning of ABA Op. 464 and NYC Op. 2015-8 and deem such a relationship to be improper fee sharing. Assuming, however, that the firm with nonlawyers is actually participating in the representation and not simply acting as a catalyst for the New York lawyer to share fees with one of their nonlawyer shareholders, such a risk would likely be minimal. Only time will tell whether the New York Rules or their comments will go further than the ABA and expressly authorize inter-firm fee sharing with firms that allow nonlawyer owners. In the meantime, however, there seems to be strong support that such an arrangement is permissible. That being said, in any fee sharing arrangement, lawyers should still be mindful of Rule 5.4 and ensure that the professional independence of the lawyer is always at the forefront. Nicole I. Hyland is a partner in the Legal Ethics & Professional Responsibility Group at Frankfurt Kurnit Klein & Selz, PC. Tyler Maulsby is an Associate at the firm. Get CLE Credit for this month’s articles (February 2016).